Think you know mermaids? Think again. Cultures all over the world have legends of half-human, half-fish creatures that live in the seas. Although they all have different names, they represent each culture's unique idea of merfolk. Which mermaids are the strangest? Which are the most beautiful? Read on to find out. In Norway, mermaids are about as far away from the princess version as you can imagine. Finfolk are shape-shifters of the sea. They can change their shapes to live on land or in the sea. Legends say that finfolk capture humans to be their husbands and wives, but wary visitors to the shore can escape by throwing a silver coin into the sea. One famous Brazilian mermaid dwells in the Amazon River. Called Iara, or the "Lady of the Waters," this mermaid originally resembled a water snake found commonly in the Amazon. But, over time, she became an immortal woman with brown skin and piercing green eyes who lured sailors to their doom. 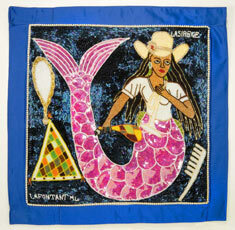 In Haiti, mermaids are three sister water spirits. One sister is calm and cool, the second is passionate and strong, and the third is Lasirn, a blend of these opposites. 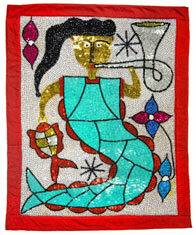 Many pictures of Lasirn show her with a comb and mirror, as well as a trumpet, or symbol of the siren. Many sailors believed mermaids lured men to their deaths in the sea. This legendary mermaid is sometimes called a water spirit, sometimes a snake charmer. Mami Wata can transform into part woman. She is always accompanied by large snakes. She is associated with fertility and beauty, and legends say that an encounter with her can lead a person to become healthier and more attractive. 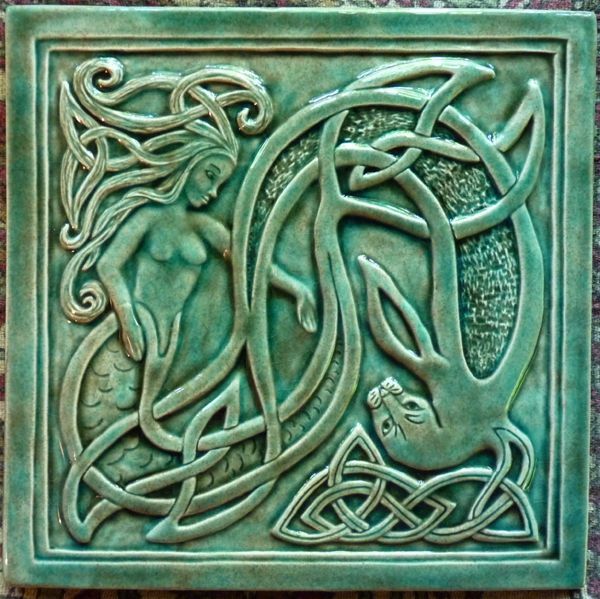 The Melusine of medieval European folklore most resembles the beautiful mermaids Western cultures are familiar with. The most common story involves a young maiden named Melusine who tries to avenge her mother by harming her father, only to be cursed with a serpent's tail. Melusine can have one or two tails, even wings. 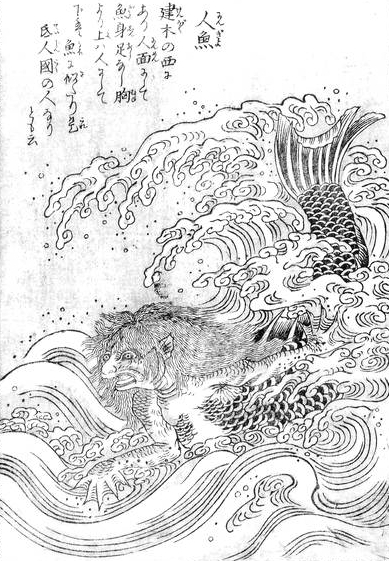 More like a sea monster than a mermaid, the Ningyo has the body of a giant fish, with a human face and a monkey's mouth. Some conceptions of the monsters have horns and fangs. According to legend, Ningyo cried tears made of pearls. Consuming the flesh of the Ningyo was said to give eternal youth and beauty to the consumer. However, catching one was also said to bring misfortune to the village of the captor. These mermaids are actually better described as water nymphs. They would climb out of the water to aid crops in the spring. However, the myths describe these spirits as girls who died violently. The nymphs have ghost-like features and long, beautiful hair that they use to drag men into their own watery deaths. 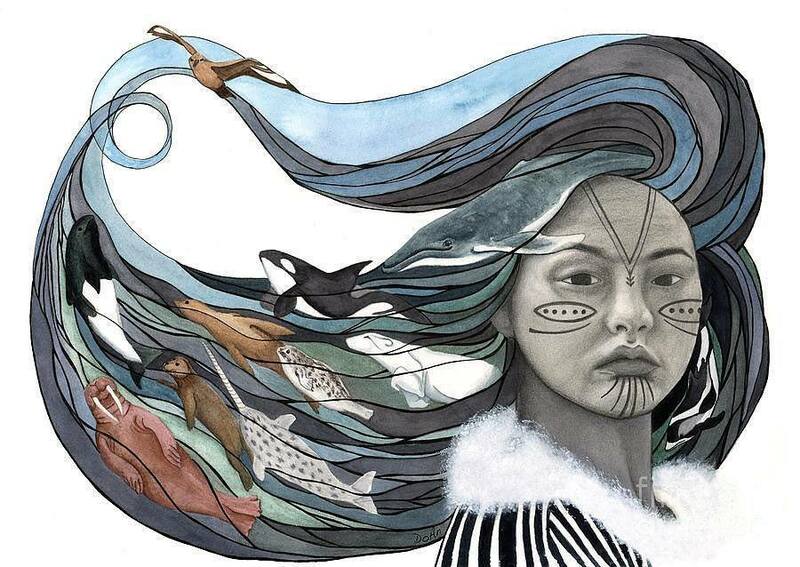 The Inuit people in the Arctic regions of Greenland and Canada have a legend of a young woman who became the first mermaid. She was tossed overboard by her father when she refused to marry. After she survived, she became the mother of all sea mammals, including the whales, walruses, and seals that the Inuit used for food. Mermaids exist in myth and legend all over the world in many different forms. Which mermaid sparks your imagination?